With giclee printing, no screen or other mechanical devices are used and therefore there is no visible dot screen pattern. The image has all the tonalities and hues of the original painting. 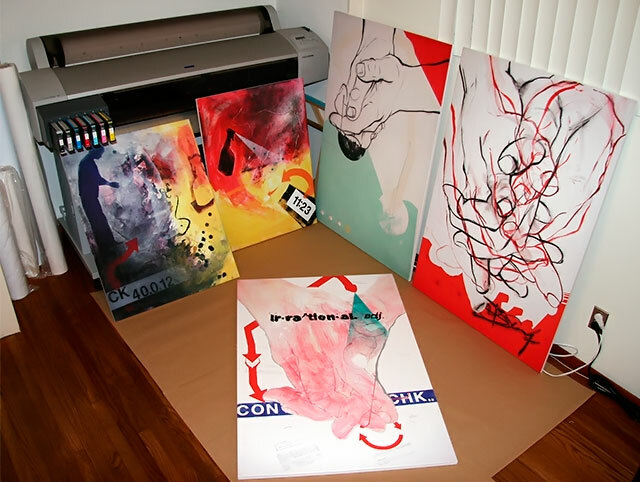 One of the advantages of Giclee printing is that once the scan is made, you can order as many or as few as you wish and Giclee prints can be produced on any paper as you wish .